There are decorating myths out there that can make it harder for you to choose and use the right colors at home. The most common myth is that choosing a neutral color scheme for your home is easy, and a "safe" choice. Neutral colors seem so easygoing that it's hard to imagine that they could actually be very, very difficult to work with. That's one myth that is easily debunked when you learn about undertones, and why those neutrals are much more complex than you thought. There is a decorating myth out there that it's easier to decorate by painting in just one color for the entire interior of your home. This may sound like solid advice, but choosing just one color for your interior can actually be more difficult than strategically choosing a few paint colors instead. Choosing just one paint color is obviously quicker than choosing multiple colors and coordinating them all. Painting your home in one color is considered ideal for flowing color from room to room, and is the best reason for using one color throughout your home. 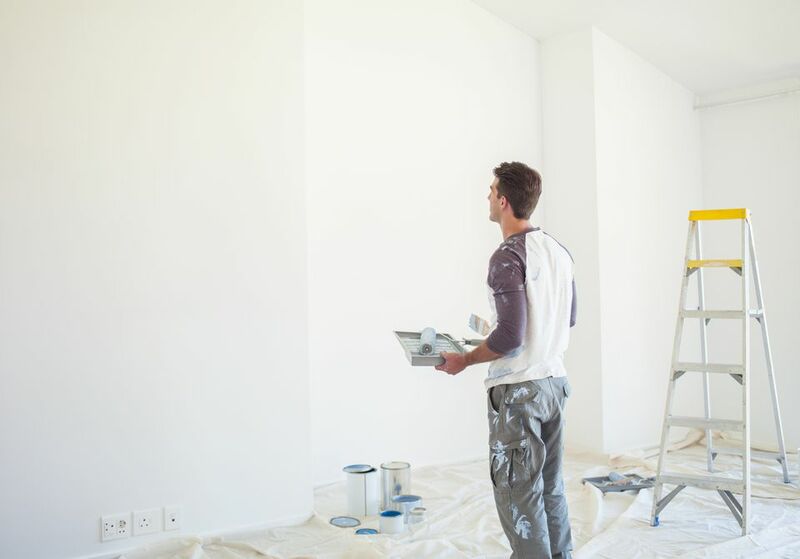 It can be less expensive to have just one color painted or sprayed throughout a home, and professional painters often recommend it for that reason. There are several great reasons why one paint color throughout all your rooms sounds like a perfect (and easy) choice, but the truth is that no paint color will ever behave the same way in every room. In fact, the color will actually change from corner to corner in the same room due to undertones and other factors. This chameleon quality is the heart of the problem with the one-color-fits-all mantra. Natural Light: The abundance or lack of natural light can change how your color appears from room to room. While your living room may be bathed in sunlight, your guest bedroom might feel a little cave-like. Ambient Lighting: Your choice of light fixtures, light placement, and even choice of light bulbs can affect how a paint color appears in each room. Exterior influences: This is one of the most challenging aspect of using one neutral color throughout a home. The color cast into the windows from bright green foliage, red clay soil, or the blue/gray of nearby water can change everything. The most obvious way to avoid a color that changes too much from room to room is by sampling the color in every room. Sampling the colors and viewing them throughout the day and night will give you a full understanding of how the color works in each room. Sampling paint color is essential when you would like to use just one color, as it will be a big commitment and not easily repainted. Consider using different shades of the same color. While monochromatic color schemes are usually used for a single room, they can be employed for an entire home, too. By varying the lightness of your chosen color, you can adjust for darker rooms by using a lighter version of your paint color, or create drama with a darker shade.